Rev. 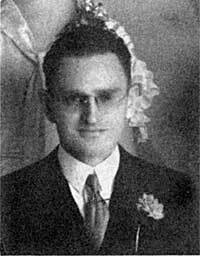 Ferdinand Renz was called to serve the Ebenezer church from 1933 to 1935. Prior to his service in Portland, Rev. Renz served as pastor in Yuma, Colorado (1926); Cheyanne, Wyoming (1927); Sioux Falls, South Dakota (1929-1933). After his service in Portland he served in Boise, Idaho. Eisenach, George J. A History of the German Congregational Churches in the United States. Yankton, SD: Pioneer, 1938. 296. Print.